September 14, 2017 By Erika C.
With education being a top priority for AquaGrove, we have recently developed a Fundraising Resources Kit to assist schools in securing funds for their own AquaGrove educational program. The new fundraising guide provides a wealth of information on grant resources and methods for writing and developing related proposals. In addition to the various fundraisers and programs that a school may already have in place, there are a variety of program-specific funding opportunities available for the purpose of supporting STEM, agriculture and environmental education. 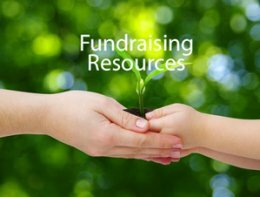 From financial support for purchasing the actual unit to supplementing the cost of maintenance and program supplies, the fundraising resource guide provides ideas for fundraisers, guidelines for developing requests for support and grant sources that are specific to STEM and related educational programs. To learn more about the AquaGrove educational program and fundraising resource kit, please email us at info@aquagrove.com.